To benefit from our best rates or know our availability, do not hesitate to book online. Collections of the Condé Museum of porcelain and the famous Chantilly lace can be viewed. The city of Chantilly is also known for its famous horse racing track, where prestigious races are held, e.g. “Prix du Jockeys Club” and the “Prix de Diane” being two of the most noted races held. For horse lovers Chantilly has one of the largest center’s of horse training. 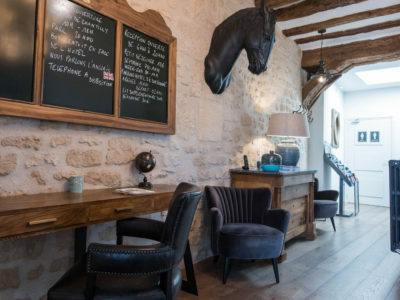 A leisurely walk can be had around the chateau, the race track and the Great stables. There is also some 6000 hectares of forests to explore. For lovers of golf and polo, Chantilly is within easy reach of 4 18-hole golf courses and a polo training center. 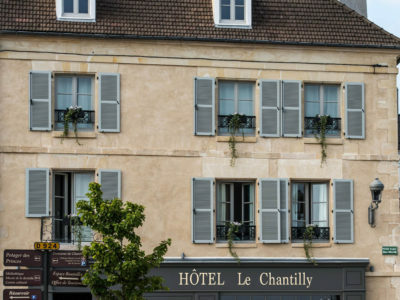 Hotel Le Chantilly is only 20 minutes walk from the train station, 35 minutes drive from Charles de Gaulle Airport and the Parc des Expositions of Paris Nord Villepinte and only 1 hour from Paris. The usual documentation for tourists is available to highlight other attractions in and around the Chantilly area.